Admissions Rules in UG courses have been changed by Higher Education Department, M.P. The Higher Education Department of Madhya Pradesh has made admissions in UG courses online. Institutes who are Minority Institutions are exempted from online counselling. Our Institute is Minority Institute by Jain Religion. Therefore, the candidates willing to apply in UG courses at Pioneer Institute can apply to us directly by filling Admission Form or Contact our Admission Cell. Thereafter, all candidates application will be checked as per the Higher Education Guidelines for admissions in various courses. Institute will then report all candidates name at the online portal confirming the admission process. All the admission rules and procedures in UG Programs are governed by the Higher Education Department of Madhya Pradesh and students are requested to read them thoroughly and carefully before applying. Click Here for detailed Rules and Regulations for Admissions in Undergraduate Program for the Session 2018-19 as notified by Higher Education Department of Madhya Pradesh. Click Here to know the various dates / deadlines for admissions in UG Courses. 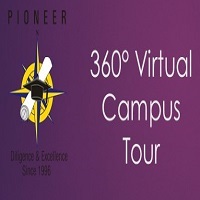 Note that for Admission in Pioneer Institute, online registration at Portal, choice filling, document verification from nodal agencies are not required. The documents will be checked at Institute level only and will be reported at online portal of Higher Education Department. MBA & ALLIED COURSES: A candidate seeking admission to MBA and Allied Courses should be a Graduate with atleast 50% marks and 45% marks in case of SC, ST, OBC category of Madhya Pradesh in aggregate of any UGC/AICTE approved Indian University or from a foreign University recognized by Association of Indian Universities (AIU) or institute recognized by theconcerned University as equivalent thereto. The Bachelor's degree must be of minimum three years duration after passing Higher Secondary (10+2) examination of (10+2) system or equivalent." The competent authority declared by the State Government for online off campus counseling, shall finalize the detailed programme and shall make it available on its website declaring its procedure, process of admission and deferent cut off dates. Procedure of Online Off Campus Counselling will be followed as per the regulation published in MP Government Gazette dated 31st July, 2009 (As ammended) for Online Off Campus Counselling. An entrance test "COMMON MANAGEMENT ADMISSION TEST" (CMAT 2017-18), shall be conducted by All India Council for Technical Education (AICTE) for selection of candidates for admission to Management and Allied courses. AICTE shall prepare and notify common merit lists of CMAT 2018-19 on the basis of marks obtained by candidates in Common Entrance Test. All India Council forTechnical Education (AICTE) also provide common merit list. Admission shall be done by the Counselling Authority through Counselling on the basis of common merit lists provided by the AICTE." Kindly note that there is no difference in above two Institute choice filling. Both Institute belong to Pioneer Institute of Professional Studies and are at one campus only. Both are running MBA (Full Time) program and are affiliated to DAVV, Indore. Both Institute course MBA (Full Time) is duly approved by AICTE, New Delhi. Both have same curriculum, syllabus, classes, teaching and are same in all respect. The names are different as AICTE treats it as different Institute. This is for extra clarification to the students who get confused in choice filling. The student can select any of the above two Institute and can fill both in choice filling for taking admission in MBA (Full Time) program. The applicants who have not appeared in CMAT examination conducted by DTE may apply in College Level Counselling (CLC) which will be conducted by DTE after Level-1 Counselling as per the schedule notified by the DTE. The MBA Program is affiliated with Devi Ahilya Vishwa Vidhyalaya (DAVV) University. Click Here to Download the Complete Detailed Guidelines for Admissions in MBA (Full Time) Program as issued by DTE, Government of Madhya Pradesh for the Academic Year 2018-19. Click Here to Download the Guidelines for online counseling process issued by DTE, Government of Madhya Pradesh for the Academic Year 2018-19. Admission in PGDM will be given on the basis of marks obtained in CMAT Examination conducted by AICTE for the Academic Year 2018-19. As per the orders of Hon'ble Supreme Court of India and AICTE, admissions will be given only on the basis of CMAT Examination conducted by AICTE. No other process / direct admission will be given by the Institute. Interested students are requested to contact Institute on the basis of CMAT Score Card. PGDM Program offered by Institute is AICTE approved having 45 seats (intake). Click Here to view PPT of PGDM Course containing all the details about the Program. B.3 Ph.D Admissions:- Institute is recognized Research Centre as approved by DAVV. Note : Application form can be downloaded from the link Download Admission Form. The duly completed form can be submitted to the Institute along with a DD of Rs.500/- issued in favor of "Pioneer Institute of Professional Studies" (Payable at Indore).